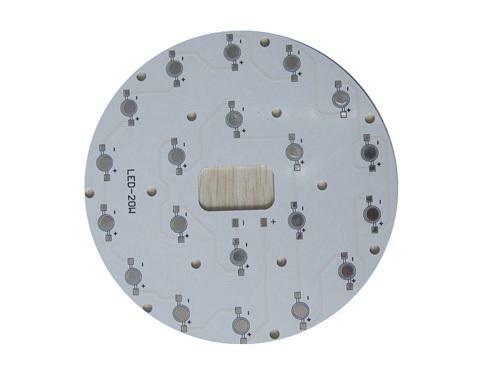 In order to solve the heat dissipation problem, aluminum PCB and some high-power IC are widely used in LED trace design. Aluminum PCB consists of copper layer, thermally conductive dielectric layer and metal substrate. The copper layer requires a great capacity for carrying current, so we need to use thicker foil, around 35um-280um. Thermally conductive dielectric layer as the core of aluminum PCB, is formed by polymer with special ceramics. It is ageing-resistant and can afford thermal stress. 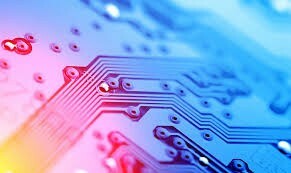 Above technique is applied to the thermally conductive dielectric layer of IMS-H01, IMS-H02 and LED-0601, so that they are excellent in thermal conductivity and powerful in insulativity. 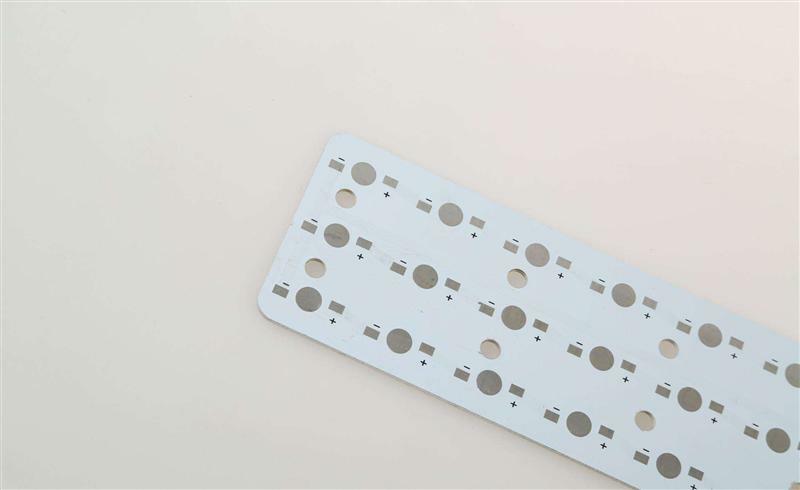 Metal substrate as the bracing component of aluminum PCB requires high thermal conductivity. Normally we use aluminum boards and we can also use copper boards, which are suitable for drilling holes, snapping and cutting. Surface finish includes solder coating, OSP, immersion gold, and HASL lead free. Why Do We Need to Do Thermal Dissipation Design? High temperature will influence electric products’ insulativity, damage of components, aging of material, craze and separation of pad. And high temperature will also influence components. Normally when the temperature gets high, the resistance value will get lower. High temperature will reduce lifetime of the capacitor, and will influence the performance of transformer. Normally the temperature of the capacitor and choke is less than 95 Celsius. Too much higher temperature will cause the changing of solder alloy--- The IMC gets thicker, solder gets brittle and mechanical strength is reducing. What is The Aim of Thermal Dissipation? Because it can control the temperature of the working area of all inner electric components and let the components work properly. The basis of maximum allowable temperature is components stress analysis method and should match reliability of products with failure rate of each component. Generally, LED heat dissipation design is based on fluid dynamics software simulation and basic design. Resistance of fluid flow: due to the influence of viscosity of fluid and solid boundary, the fluid is impeded by resistance, which is called flow resistance. And it can be divided into two types: on-way resistance and local resistance. On-way resistance: the friction resistance of the fluid along all the flows in the region where the boundary along the path remains unchanged; Local resistance: in areas with sharp changes in the boundary, such as the sudden expansion or reduction of the section or the local position of the elbow, it is the flow resistance caused by sharp changes in the fluid state. 2. According to the relevant design criteria of radiator, the tooth thickness, tooth shape, tooth spacing and substrate thickness of radiator are optimized. What is The Design Method of Heat Sink? 1. Considering the natural cooling when the temperature boundary layer is thicker, if the space of tooth is too small, it will be easy to cross two tooth thermal boundary layer, thus influence tooth surface of convection. Usually, it is suggested that natural cooling radiator tooth spacing should be more than 12 mm, if the radiator depth is less than 10 mm, we can determine the radiator or insert spacing according to the tooth spacing of 1.2 times the depth of tooth. 2. The heat transfer ability of the surface of the natural cooling radiator is relatively weak, and the addition of corrugation on the surface of the heat dissipation tooth will not have much impact on the natural convection effect, so it is recommended that there will be no corrugated teeth on the surface of the heat dissipation tooth. 3. The surface of the natural convection radiator is generally treated with blackening to increase the radiation coefficient of the heat dissipation surface and enhance the radiation heat transfer. 4. As natural convection takes a long time to reach thermal balance, the thickness of the base plate and teeth of natural convection radiator should be sufficient enough to resist the impact of instantaneous thermal load, which is suggested to be more than 5mm.